A new study has determined poorer pregnancy outcomes occur in women treated for gestational diabetes at less than 24 weeks when compared to women diagnosed between 24 and 28 weeks’ gestation. Titled ‘Gestational Diabetes (GDM <24 weeks) is Associated With Worse Pregnancy Outcomes Despite Early Treatment, When Compared with GDM Diagnosed at 24-28 Weeks’ Gestation’, the study from Galway Diabetes Research Centre, National University of Ireland, Galway, was presented by Mr Mustafa at the recent Irish Endocrine Society (IES) Annual Conference in Cork. Mr Mustafa outlined that gestational diabetes is associated with more adverse pregnancy outcomes and that the World Health Organisation (WHO) recommends screening for the condition at 24-to-28 weeks’ gestation. Gestational diabetes is increasing worldwide and it is known that treatment of gestational diabetes improves pregnancy outcomes. The study aimed to examine the pregnancy outcomes of women diagnosed with gestational diabetes at less than 24 weeks, compared to those diagnosed between 24-to-28 weeks’ gestation in a large treated European cohort. A retrospective cohort study of more than 1,400 pregnancies was examined. It was found that women with early (less than 24 weeks’) gestational diabetes had a higher BMI at diagnosis than women diagnosed between 24-to-28 weeks. Women with early gestational diabetes are more likely to develop hypertensive disorder and have an operative delivery. The study also revealed that stillbirths, preterm delivery and the need for neonatal unit care are more common in the babies of women with early gestational diabetes. Women with early gestational diabetes were more likely to develop pre-eclampsia and post-partum haemorrhage compared to the other cohort of women diagnosed at a later stage. Early gestational diabetes is common, at 19 per cent, Mr Mustafa said. “In view of the greater number of early gestational diabetes women displaying abnormal OGTT [oral glucose tolerance test] post-partum, this may reflect a more advanced state along the pathway to diabetes,” the authors concluded. Two paediatric studies on the detection of congenital hypothyroidism (CHT) via newborn screening were highlighted at the IES inaugural paediatric symposium. Dr Niamh McGrath, Consultant Paediatric Endocrinologist at Galway University Hospital, presented the first study, titled ‘Optimal Timing of Repeat Screening for Congenital Hypothyroidism in Preterm Infants to Detect Delayed TSH Elevation and Decompensated Congenital Hypothyroidism’. 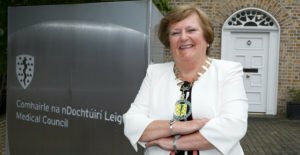 Newborn screening for CHT has been in place since 1979 and has increased the rate of early detection and transformed outcomes for children with CHT, eradicating neurological complications, Dr McGrath said. CHT is a preventable cause of severe neurodevelopmental disability. The reported incidence of CHT has significantly risen in Ireland in the last two decades. Possible reasons for the rise include a lack of maternal iodine and/or environmental toxin and pentachlorophenol (PCP) exposure, Dr McGrath said. The national newborn screening programme is run via Temple Street Children’s Hospital and the same thyroid stimulating hormone (TSH) cut-off point of eight and the same assay have been used in Ireland since the screening programme began, Dr McGrath said. The atypical form of hypothyroidism is characterised by a delayed TSH elevation, such that preterm infants pass their first newborn screening test but are detected on repeat screening. “The utility of second screening, its optimal timing and the optimal TSH cut-offs to be used remain subjects of active debate,” the authors state in the study. Ireland has a relatively low cut-off point compared to other countries, Dr McGrath noted. CHT is detected in one-in-1,500 Irish children. Ireland has been repeating screening in preterm infants for many years and is ahead of many other countries in this regard, Dr McGrath said. Many preterm infants pass their first test but are then detected on a later test, but the best time to conduct a repeat screen is the subject of widespread debate. The most recent consensus guidelines from the European Society of Paediatric Endocrinology in 2016 recommended repeat screening at two weeks of age or two weeks after their last screening result. In Ireland, screening in preterm infants is repeated weekly until the infant is 36 weeks of corrected age or until they are discharged from hospital, Dr McGrath said. The study reviewed the newborn screening records of all preterm infants with treated CHT between January 2004 and December 2016. It found that 50 per cent of preterm infants born less than 33 weeks’ gestation who were diagnosed with CHT had delayed TSH elevation and would not have been detected on first newborn screen. The study concluded that repeat screening for CHT in preterm infants is necessary to avoid missing cases of CHT with delayed TSH elevation. “Current consensus guidelines to repeat screening once at two weeks of life will miss a significant number of infants with delayed TSH elevation and decompensated permanent CHT,” the authors stated. Dr McGrath recommended, based on the study, that screening be conducted first, as usual, at between 72 and 120 hours, then at one week, two weeks, four weeks and at corrected term gestational age. A separate but related study, also presented by Dr McGrath at the symposium, was titled ‘Permanent Decompensated Congenital Hypothyroidism in Newborns with Whole-blood TSH Concentrations Between Eight and 10mU/L — The Case for Lowering the Threshold’. Prof Zinman is Professor of Medicine at the University of Toronto and the Stephen and Suzie Pustil Diabetes Research Scientist at the Lunenfeld-Tanenbaum Research Institute, Mount Sinai Hospital, Toronto, Canada. Prof Zinman has authored more than 580 publications in national and international journals, and is among the top 1 per cent of researchers cited in the field of diabetes. His main research interests include the long-term complications of diabetes mellitus, the development of new therapies for type 1 and type 2 diabetes, diabetes in Aboriginal communities, and studies directed at the prevention of diabetes. Prof Zinman began his talk by outlining that individuals with type 2 diabetes have a decreased life expectancy of six years, which is greater if a person has had a cardiovascular event. 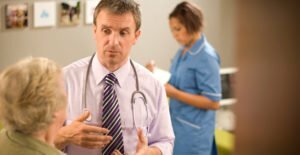 He noted that it “has been an incredible decade” since 2008, when the US Food and Drug Administration famously issued safety guidance, which expanded the scope and cost of research required for approval of drugs for type 2 diabetes by introducing the requirement for cardiovascular outcome trials (CVOTs). This is because cardiovascular disease is prevalent in people with diabetes and a diabetes therapy that was believed to reduce cardiovascular events because it improved insulin resistance was actually associated with an increase in cardiovascular events, Prof Zinman said. He pointed out, however, that the meta-analysis used in the study was flawed. Several CVOTs have been conducted since 2008 and Prof Zinman outlined that some have provided evidence of cardiovascular benefit and reductions in all-cause mortality. He concluded by stating that huge progress had been made in the understanding of type 2 diabetes and in developing therapies that are associated with improved glucose control, no weight gain, less hyperglycaemia, and hopefully, better cardiovascular outcomes. Dr Paula O’Shea, Consultant Clinical Biochemist and registered European Specialist in Clinical Chemistry and Laboratory Medicine (EuSpLM) based at Galway University Hospitals (GUH), delivered the IES McKenna Lecture. She has more than 30 years’ experience in clinical laboratory science methodologies, practice and research, with over 40 publications in scientific and medical peer-reviewed journals, a PhD in clinical medicine awarded by Trinity College Dublin and is a Fellow of the Royal College of Pathologists United Kingdom (by examination). Her lecture was titled ‘Triumph in Testing Times’. She examined the total testing process by clinicians and the importance of laboratories in this process. Dr O’Shea’s talk showcased collaborative research that led to significant service developments in the investigation of primary aldosteronism at GUH. A presentation detailing a novel predictive biomarker for pre-eclampsia in pregnant women with diabetes was made at the IES meeting by Ms Alice Cheung. Ms Cheung, a postgraduate research student at the Centre for Experimental Medicine, Queen’s University Belfast, noted that the pathophysiology of pre-eclampsia is still unclear. Pre-eclampsia is characterised by hypertension and proteinuria that develops during pregnancy, usually after 20 weeks of gestation. Diabetes is a risk factor for developing pre-eclampsia and the only cure is delivery of the baby. Pregnant women with type 1 diabetes in particular have a four-fold increased risk of developing pre-eclampsia. The condition can lead to maternal death and long-term complications for babies and women. Ms Cheung noted there are already biomarkers used to detect pre-eclampsia on the market. Her research looked at the biomarker Leucine-Rich alpha-2-Glycoprotein-1 (LRG1), a marker of inflammation and angiogenesis, and explored its role in pregnant women with type 1 diabetes. The study examined 66 women — 23 with type 1 diabetes who developed pre-eclampsia, 24 women with type 1 diabetes who remained normotensive, and 19 healthy, non-diabetic women. 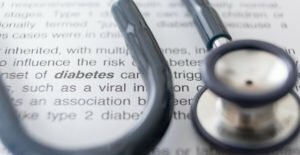 The two groups with type 1 diabetes were matched for age, duration of diabetes, HbA1c and parity and LRG1 was measured at each of the three trimesters. The results showed that LRG1 protein levels were significantly increased in women with type 1 diabetes who subsequently developed pre-eclampsia compared to those who did not develop the condition. “This significant increase preceded the clinical signs and symptoms of pre-eclampsia. LRG1 may therefore have utility as an early prediction of pre-eclampsia, and could provide novel insights into disease mechanisms for pre-eclampsia in diabetic women,” the study found. Ms Cheung described the results as “very exciting and very promising” in helping to detect pre-eclampsia in diabetic patients. “In conclusion, we can possibly use LRG1 as a diagnostic biomarker for pre-eclampsia in women with diabetes, specifically for diabetes. In the future, we are hoping to elucidate the potential mechanism in which LRG1 might be involved in pre-eclampsia in the hope to get a possible therapeutic intervention for pre-eclampsia,” Ms Cheung said. Research collaborators also included centres in Australia, Norway and the US. The recent Irish Endocrine Society meeting in Cork heard a presentation on ‘Growth Disorders in Puberty — Lessons to be Learnt from ACAN Deficiency and Other Genetic Growth Disorders’. The talk was delivered by Prof Ola Nilsson, Professor of Endocrinology, Karolinska Institutet and University Hospital Stockholm, Sweden. Prof Nilsson is a leading international expert in growth disorders. After he completed his MD, Prof Nilsson proceeded with research in the paediatric endocrinology field that resulted in the completion of his PhD thesis, titled ‘The Role of Oestrogen in Growth Plate Chondrogenesis’ in 2002. He performed post-doctoral research in the laboratory of Dr Jeffrey Baron, Section on Growth and Development, National Institute of Child Health and Development, National Institutes of Health (NIH), Bethesda, US. In 2006, Prof Nilsson received a junior faculty position at the Karolinska Institutet and started up his independent research group in parallel with a paediatric residency programme at the Karolinska University Hospital. After finalising his paediatric residency, he again relocated to the NIH in 2011 for clinical fellowship training in paediatric endocrinology in the NIH Inter-Institute Paediatric Endocrinology Training Programme. After completing his fellowship training, he accepted a position as an Associate Professor and Consultant in Paediatric Endocrinology at the Division of Paediatric Endocrinology at the Karolinska Institutet and University Hospital, Stockholm, Sweden. In 2015, Dr Nilsson was elected the Scientific Secretary of the Swedish Paediatric Society, and in 2016, was appointed Professor of Paediatrics at Örebro University, Sweden’s top-rated medical school. He is currently sharing his time between Örebro University and the Karolinska Institutet, working as a Senior Consultant in Paediatric Endocrinology and Professor of Paediatrics, heading a strong research group in the field of growth and skeletal biology. Prof Nilsson has published more than 50 journal articles related to skeletal biology and growth. He has authored several book chapters and organised international meetings and courses in paediatric endocrinology. He has served as Grant reviewer for: The Medical Research Council (MRC), UK; Shared Business Services (UKSBS), UK; the Israel Science Foundation, Israel; and the International Fund for Congenital Adrenal Hyperplasia, France. He is a member of the editorial boards for the Journal of Endocrinology, the Journal of Molecular Endocrinology, and ISRN Endocrinology, as well as an abstract reviewer for the annual meetings of the European Society for Paediatric Endocrinology (ESPE) and ad-hoc reviewer for several journals in the field, including Endocrinology and the Journal of Clinical Endocrinology and Metabolism. He has been invited to serve as chairman and speaker at several international conferences, including at the European Society of Paediatric Endocrinology, Endocrine Society, European Growth Plate Workshop, International Paediatric Nephrology Association Symposia on Growth and Nutrition, and has received several awards in paediatric endocrinology, including the European Society of Paediatric Endocrinology’s Research Fellowship Award, the Ronald McDonald Children Foundation’s Award in Paediatric Medicine, and the Researcher Award from the Swedish Association of Endocrinologists. Prof Nilsson was the recipient of the Human Growth Foundation Award selected by the Paediatric Endocrine Society (formerly named the Lawson-Wilkins Paediatric Endocrine Society), both in 2013 and 2014. In his presentation, Prof Nilsson spoke of how recent findings in basic molecular and cellular biology, clinical genetics and large-scale genomics have uncovered a vast array of regulatory systems that control skeletal growth and that can cause disorders of linear growth. As a result, the traditional view of short or tall stature that is centered on the GH-IGF-I axis is now far too narrow to encompass the ever-growing number of defects that cause abnormal linear growth. A much broader conceptual framework can be based on the simple concept that linear growth disorders are necessarily due to dysfunction of the growth plate, the structure responsible for bone elongation and therefore overall body size. Consequently, short stature can more generally be conceptualised as a primary or secondary disorder of the growth plate chondrocytes. The wide array of defects, many newly-discovered, that affect growth plate chondrocyte function and thereby cause childhood growth disorders were reviewed in his talk, with special focus on Aggrecan deficiency, a newly-discovered short-stature syndrome with advanced bone age and early growth cessation. Prof Nilsson stated that a novel concept that has emerged from recent findings is that sequence variants in a single gene can produce a phenotypic spectrum that ranges from a severe skeletal dysplasia to disproportionate or proportionate short stature, to normal variation in height, to tall stature. The recent advances reviewed in this paper are steadily diminishing the number of children who receive the unhelpful diagnosis of ‘idiopathic short stature’ or ‘tall stature’. Prof Barry Ferriss, retired consultant from University College Cork and Cork University Hospital, was awarded a lifetime achievement medal by the Irish Endocrine Society (IES) at its 42nd annual meeting in Cork recently. Prof Ferriss was recognised as one of the founders of the IES and for his long and distinguished services to endocrinology in Cork. According to IES President Prof Finbarr O’Harte, Prof Ferriss was an excellent mentor to numerous endocrine and diabetes specialists. The IES, founded in 1976, brings together clinical and basic science researchers from all over the island of Ireland. At the meeting, 25 oral presentations were made and 150 posters were featured, highlighting the wide range of ongoing research in the field. Dr Mary Jane Brassill, Consultant Physician based in South Tipperary General Hospital, was the local organiser for the Cork meeting. Prof Finbarr O’Harte, a Professor of Endocrinology and Metabolism at Ulster University, Coleraine, Northern Ireland, stepped down from his role as IES President at the end of the 2018 IES meeting. 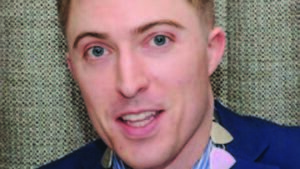 Prof O’Harte is replaced by Prof Brendan Kinsley, Consultant in Endocrinology at the Mater Misericordiae University Hospital, Dublin, and Coombe Women and Infants University Hospital, Dublin. Prof Kinsley is a native of Cork city and has an interest in diabetes mellitus and endocrine disorders in pregnancy, autonomic dysfunction in diabetes and hypoglycaemia. He will take on the role of IES President for the next three years. 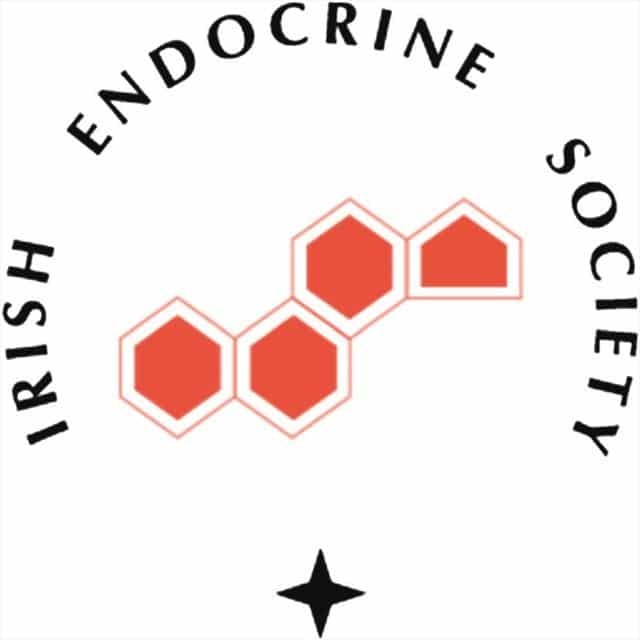 The IES Annual Study day in endocrinology and diabetes will take place on 1 February 2019 at the RCPI in Dublin. The next IES Annual meeting will be held in Galway on 10-11 October 2019. The local organiser will be Dr Marcia Bell. The inaugural IES Paediatric Medal was awarded to Dr David Kinlen for his presentation titled ‘Childhood Obesity Causes Dysregulation of MAIT Cells and Monocytes Driving Production of Cytokines Linked to Insulin Resistance’. Dr Kinlen is based at the Obesity Immunology Group, Education and Research Centre, St Vincent’s University Hospital, University College Dublin. The research examined the problem of obesity in Ireland. Dr Kinlen outlined to delegates that around 25 per cent of Irish children are overweight or obese. Obese children have higher infection rates, a higher risk of developing cancer as adults and poorer vaccine responses, Dr Kinlen said. They are also at risk of developing insulin resistance and in time, type 2 diabetes. Inflammation and immune dysregulation are believed to be key players in this process, he added. The research aimed to examine this dysregulation and following the collection of blood samples from 33 lean and 51 obese children, it was confirmed that interleukin (IL)-17A-producing MAIT cells are more abundant in obese children than in lean children. The study spanned two years and children aged between six and 18 years were included. Serum factors associated with increased IL-17A were examined and it was found that soluble CD163, a marker for inflammatory myeloid cells, was increased in obese children. An investigation was subsequently conducted on myeloid cytokine production, which revealed IL-1β was also elevated in obese children. Through selective removal of monocytes, the researchers also showed MAIT cell IL-17A production is dependent on monocyte cross-talk. The researchers concluded childhood obesity drives dysregulation in monocytes, which then contribute to MAIT cell dysregulation. Three research grants were awarded at the IES annual meeting, with winners taking away grants worth €15,000 each. The Clinical Sciences Award was presented to Dr Julie Martin Grace, Beaumont Hospital, Dublin, for her project titled, ‘Impact of Inhaled Glucocorticoids on Adrenal Function’. The third grant was given to Dr David Kinlen for his presentation, ‘Childhood Obesity Causes Dysregulation of MAIT Cells and Monocytes Driving Production of Cytokines Linked to Insulin Resistance’. Meanwhile, the O’Donovan Medal for Best Oral Presentation was awarded to Dr Tómas Griffin, Galway University Hospital. His presentation was titled ‘Defining Reference Intervals for a Plasma Dephosphorylated-Uncarboxylated form of Matrix Gla-Protein Assay in a Caucasian Population and its Utility in Diabetic Kidney Disease.’ The study aimed to explore the potential utility of the dephosphorylated-uncarboxylated form of Matrix Gla Protein (dp-ucMGP) in diabetic kidney disease in an Irish caucasian population. The Montgomery Prize for Best Poster was awarded to Dr Ultan Healy, Connolly Hospital, Blanchardstown. The poster was titled ‘Circadian Rhythm Disturbance, as Indicated by Increased Night-Time Activity, is Associated with Higher BMI in Subjects with Type 2 Diabetes Mellitus’. The research noted that circadian rhythm synchronises various metabolic processes but disruption to this rhythm has been shown to have deleterious metabolic consequences. The study concluded that “subjects with T2DM are more prone than control subjects to circadian disruption. This could have an adverse outcome on glycaemic control”. Dr Mark Quinn, for his case, ‘A Remarkable Case of Thyrotoxicosis Initially Caused by Graves Disease Followed by a TSH-oma’, and Dr Julia Iona, for her case, ‘Type 1 Diabetes due to Treatment with Anti-Programmed Cell Death-1 Antibodies: A Case Report’.